I’ve been inspired by the way that Kate Wadkins has displayed the Brainwaves collection at RAC. Lots of three dimensional art is really beautiful and interesting, but you have to get creative with ways to display it. So I looked around RAC and thought about ways that I would display our three dimensional pieces in my home. 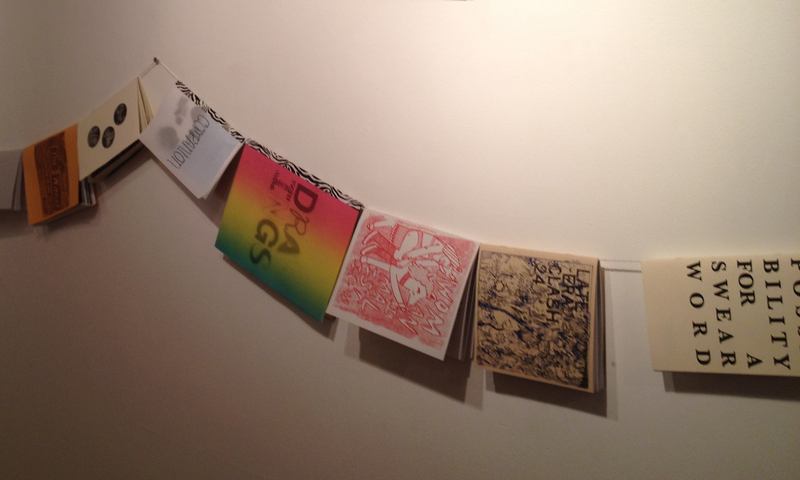 First and foremost of course is the Brainwaves display on our gallery wall. If you are anything like our intern Madeline Dahl, you love zines and have more than you know what to do with. Simply letting beautiful art pieces sit on a bookshelf, only viewed when someone picks them up, doesn’t do justice to even the smallest of collections. By taking some rough textured yarn or twine and tying it to nails on the wall you can create the perfect display for zines, magazines, or even light handmade books. I also love Emily François’ hand painted mugs. She takes found mugs and repaints them in ways that juxtapose with the original image. As much as these mugs are great as an interesting vessel for your morning coffee, like the zines, keeping them in a cabinet all day seems a shame when they could be displayed. 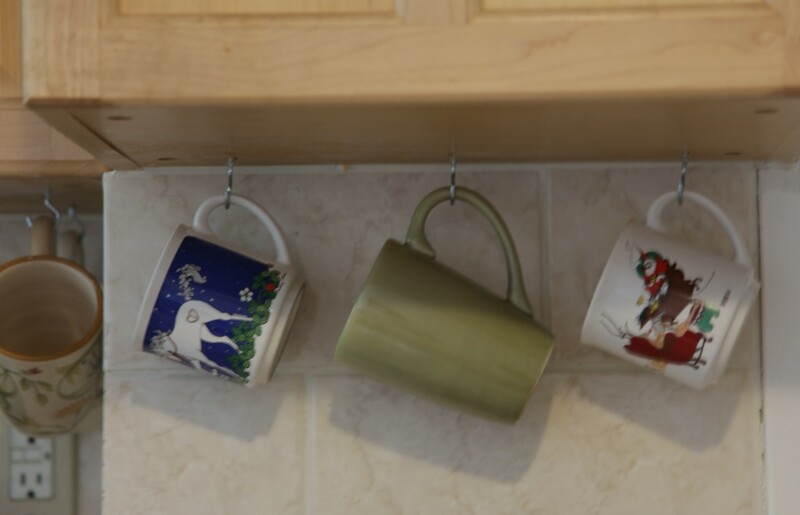 I took eye hooks, and screwed them into the bottom of my kitchen cabinet at an even distance, then I hanged the mugs from there handel. This not only displays these wonderful mugs, but also makes them easily accessible when fumbling around for coffee in the morning! 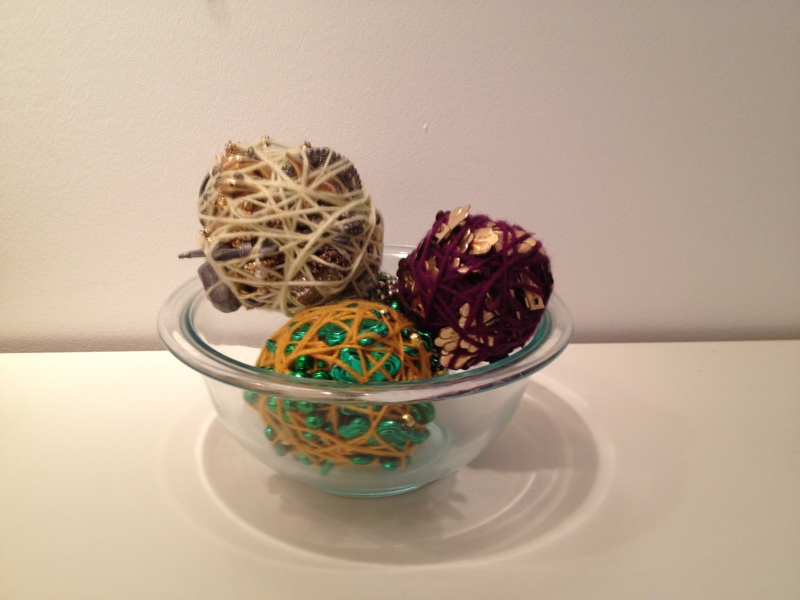 Another beautiful three dimensional object that RAC sells is Ian Trask’s series of materials in yarn. He wraps found materials, such as junk jewelry, belts, and plastic hearts in different colored yarn. These objects are interesting on their own, or when several are displayed together. I think that these would look great displayed in a clear bowl, either on a shelf or a coffee table. I also like the idea of using them as a bookend. Of course for this you need to pick one made of heavy materials, but it essentially turns your books into art pieces as well. I used several of the books at RAC, including one of my favorite reads right now I Am Not a Good Enough Feminist, edited by Recession curator Melanie Kress and Kate Ryan. While thinking about the works at RAC that can be displayed in interesting ways, I was drawn to Gionna Forte’s tiny handmade books. These delicate and endearing books can be visually lost when displayed with traditionally sized books. 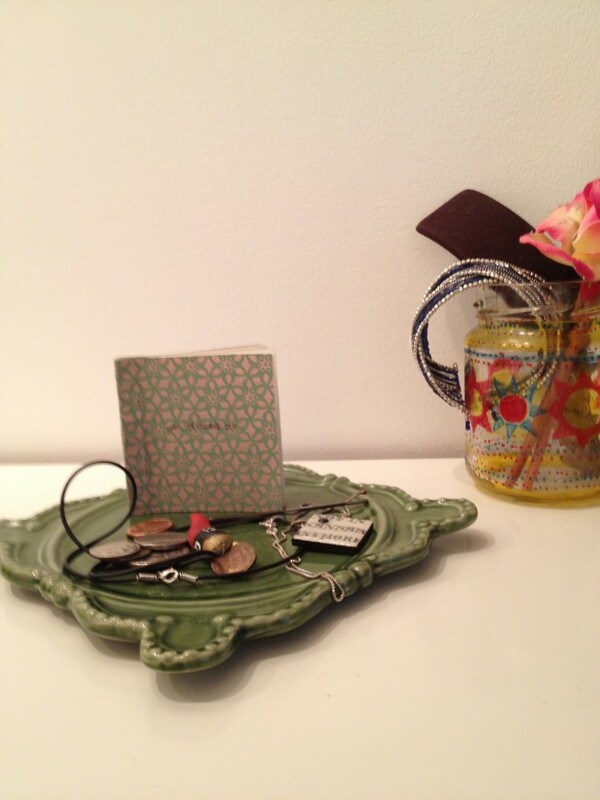 It is interesting to group them with other delicate items, that are beautiful and easy to loose… jewelry. I stood a copy of Forte’s He Kissed Me on the tray that I use for my day to day jewelry. I like the idea of keeping a delicate beloved art object with other objects that I love. What is great about displaying these three dimensional works is that they draw attention to themselves since they demand a creative display. That is essentially the the purpose of this blog post is …to allow for objects that we love to be displayed and appreciated everyday.